The first three episodes of Season Three of The Americans featured (in order): A naked woman being strangled to death, the same naked, deceased woman having her bones snapped in order to fit her into a suitcase, and a husband pulling out his wife’s tooth with a pair of pliers. All three moments were unsettling, but none of them made my skin crawl the way Philip’s interactions with Kimberly did in this episode. In the hands of a less talented actor on a lesser show, this storyline could ruin Philip’s character. 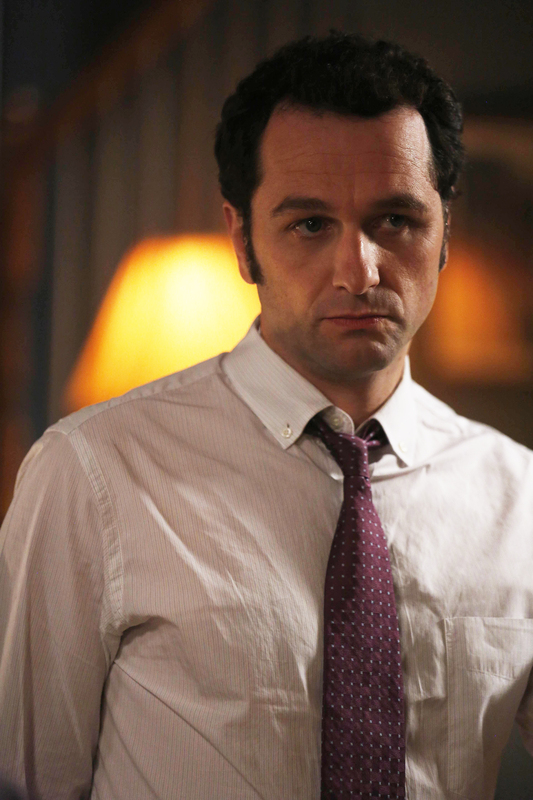 However, Matthew Rhys’s haunting work in “Dimebag” proved that this storyline will only serve to make Philip an even more complex character than before. Rhys has always been great at conveying Philip’s mental and emotional state through his eyes, tone of voice, and body language, and that talent was used potently in “Dimebag.” It was there in the way “Jim’s” smooth talking could barely disguise the disgust in Philip’s voice. It was there in the way his back stiffened when Elizabeth asked who wore the pants in “Clark’s” marriage with Martha. It was there in the way he purposely didn’t look at Kimberly as she was dancing until he visibly steeled himself to do so at the end. It was there in the slump of his shoulders when he had to leave after his teenage daughter’s birthday dinner to seduce a teenage girl—his posture showing how much he hates the hypocrite this is causing him to become. And it was there every single time the camera lingered on his face as Philip looked at Paige with the sad eyes of a father contemplating lost innocence and his role in it. I loved the way this episode focused on how much Philip loves his kids as he was being asked to do something that went against everything he believes as a father. The genuine warmth Rhys exuded in the scene that featured Philip and Henry doing flashcards as Philip talked to Paige about her birthday dinner brilliantly contrasted the disturbing nature of his new mission and the clear discomfort he felt about it. Rhys made Philip’s disgust with his situation and with himself palpable. The episode’s final shot—with Kimberly’s head on Philip’s shoulder as he looked into the camera—is going to haunt me just as long as the sounds of bones breaking and teeth being pulled have haunted me so far this season. It was the look of a man who was feeling all of the things he knew about himself—he’s a good father, he’s a protector, he fights for the children he cares about to stay innocent—slip away for a cause he’s not even sure he believes in any longer. It was the look of a man dying inside. And it was the look of a man who hated himself for using a young girl more than anyone else could ever hate him for it. Oh Stan, even when you think you’re doing the right thing, it blows up in your face. It took two seasons, but Stan finally came clean to Sandra about his affair with Nina. However, what worked so well in this scene was the fact that Stan’s honesty didn’t fix anything. In fact, all it did was hurt Sandra more. Noah Emmerich and Susan Misner were at their best in this scene. I was especially struck by how vulnerable she was. You could feel the pain starting for her all over again, just when she thought she was starting to move on. And it broke my heart. I’m not sure I’ve ever felt for Sandra more than I did in this scene, and it was all because of Misner’s heartbreaking work. While this scene can stand on its own as a scene of great emotional power, it worked even better as an examination of the episode’s main theme: Honesty isn’t always the best policy. “Dimebag” was an episode about truth—the reasons we tell the truth, the ways we use the truth to manipulate, and the pain that can be inflicted on others by the truth. Stan thought he could make things better with Sandra by being completely honest with her about Nina, including the fact that he loved her. Instead, he only hurt Sandra more by being so honest. That fine line between truth that heals and truth that hurts (and the way we often don’t know what side of that line our moments of truth will fall on) got to the heart of Philip and Elizabeth’s fight in this episode. Elizabeth is done lying to Paige; she wants to be completely honest with her about who her family really is and what she could do for the KGB. Philip, however, sees this truth as destructive, much like Stan’s confession to Sandra (or worse, Jared’s disastrous introduction to the KGB last season). He thinks telling Paige the truth is self-serving, much like Stan telling Sandra the truth felt self-serving and Nina telling her cellmate the truth about her story was done for her benefit. And in finally telling each other the whole truth about where they stand and what they believe in terms of Paige’s future, Philip and Elizabeth ended the episode further apart emotionally than they’ve been since Season One. The truth doesn’t always set you free, and these characters are learning that the hard way. • Whoever chose that Loves Baby Soft commercial is a creepy genius. Nothing else could have set the tone for this episode in such an overtly awful way. • Once again, Paige’s hair was looking fierce. • Speaking of Paige, have I mentioned lately how much I love her? And I don’t just love her for how she was able to manipulate her parents with the skill of a trained asset; I love her for her passion. She wants to be a better person and do good things in the world, and I’m so happy this show continues to demonstrate the power and importance of a teenage girl’s ability to become completely invested in the things that matter to her. • I think this episode’s “Never underestimate a teenage girl, or you’ll get played” message is going to come into play somewhere along the line with Kimberly. • In this week’s edition of “Spy Work Isn’t All Wigs and Fun,” we have Stan tearing apart a bathroom tampon dispenser and falling on a toilet paper dispenser as he searched for evidence that the defector is still loyal to Russia. Does anyone else still think his suspicions are correct, or is it just me? • I loved the cut from Stan talking about how he doesn’t get much sleep to Nina being awake in her cell. • It’s a small detail, but it’s fun to note how many of the important conversations between Philip and Elizabeth happen while they’re doing mundane things, like washing dishes, taking off shoes, and putting lotion on before bed. It adds a nice dose of realism to every one of their scenes. • Elizabeth and Philip’s big fight was handled with such fearless intensity by Rhys and Keri Russell. And it was another example of this show using a specific angle to touch on universal truths about marriage and parenthood. Philip and Elizabeth may be KGB spies debating bringing their daughter into the fold, but they’re also just a husband and wife fighting over wanting different things for their child’s future. • Russell broke me twice in this episode with just her facial expressions. The first was right after Paige tells the table she wants to be baptized. The camera cut to Russell, and the open sadness changing quickly to anger on her face was so revealing. It made me think about Elizabeth listening to the pastor talk about Jesus being ready to die for his beliefs, and how much that must have hurt her. In Elizabeth’s eyes, Paige only knows of sacrifice for your beliefs through stories about Jesus, and not the truth: Philip and Elizabeth put their lives on the line every day for their beliefs. • The second time Russell broke my heart was when she was trying one final time to convince Philip that they need to tell Paige the truth before she’s baptized. Every time Elizabeth tries to convince Philip this season, Russell has made her more and more vulnerable, and this time we could see the tears in her eyes. Elizabeth believes in this truth so strongly that she’s ready to risk everything to share it with her daughter. The tragedy is that being honest with Paige could cause her to lose Philip, the only person she’s ever been completely honest with until now.